Laser skin resurfacing, a skin laser treatment is used for improving the appearance of the skin and removing or minimizing the scares, wrinkles, birthmarks or to treat discolored skin areas. The skin laser treatment removes the skin layer by layer reducing the number of problems with hypo pigmentation. It is a painless way of treating your skin however necessary laser skin precautions must be taken by thoroughly considering if you are the rightful candidate for this skin laser treatment. Here are a few skin laser tips and skin laser precautions for how to choose the skin laser treatment. – Skin laser treatment can treat all sorts of wrinkles dynamic or static along with freckles and pigmentation caused by exposure to the sun. It can also treat scars, moles, birthmarks and any visible blood vessels and facial redness. So be sure to carefully analyze your skin for wrinkles, freckles, sun spots, discoloration, visible blood vessels, birthmarks, scars or check if your skin is un-responsive after a facelift. – Skin laser treatment would not be a good idea if you have a very dark skin, stretch marks or active acne. – There are three different methods of skin laser treatment. Ablative lasers, fractioned lasers and intense pulsed light. Ablative Laser method requires one treatment only as it vaporizes skin and target the tissues beneath the skin surface to get rid of scars. Fractioned lasers are used for treating wrinkles by only targeting the damaged skin areas. The healing process is faster compared to the other methods of skin laser treatment while the intense pulse light method is used for treating visible blood vessels and discolored skin. 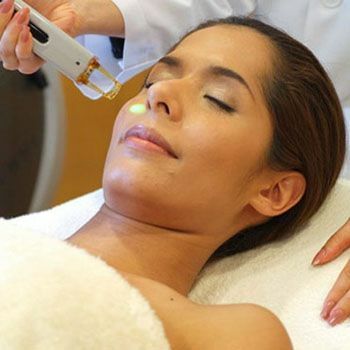 Choose the right method for the skin laser treatment. – For skin laser treatment, make sure that you go to a specialist who is an expert in performing laser skin resurfacing. – Make yourself fully aware of the possible side effects and estimated time for the healing process. Patients with dark skin will be at a greater risk of healing with dark pigmentation which can be minimized by using bleaching agent before and after the skin laser treatment. Before deciding to go for a skin laser treatment keep the above tips in my mind and be sure to tell your physician the exact condition of your skin for better results. Rad Or Bad: Would You Rock These Ruffles? You’ll Never Guess Who The Highest Paid English Actor In Hollywood Is! HANK BASKETT’S CHEATING MIGHT BE THE BEST THING THAT EVER HAPPENED TO KENDRA WILKINSON!